Explore the City from the Passaic River with Newark Boat Tours! This weekend Newark Riverfront Revival will be hosting Boat Tours along the Passaic River! Saturday, August 29th we will be offering Boat Tours at 11am and 1pm that focus on the history, ecology and redevelopment of the Passaic River in Newark. These tours leave from the Boat Dock located at Newark Riverfront Park on Raymond Boulevard between Somme and Van Buren Streets and sail downriver towards Port Newark and then swing back around and go upriver towards Belleville. Our Sunday, August 30th Port Tours will explore the inner workings of the Port of Newark which is the 2nd largest in the country and the largest on the Eastern Seaboard. 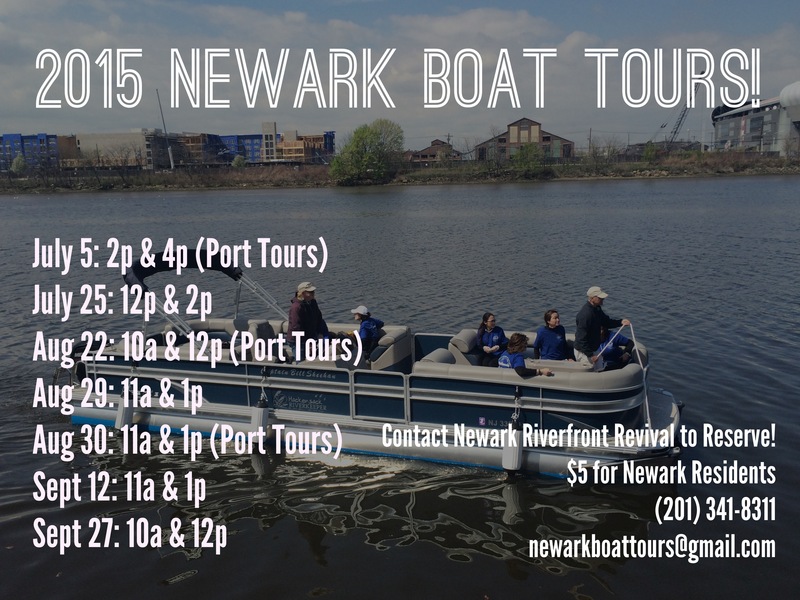 Both tours are hosted by Newark Riverfront Revival with Captains Bill and Hugh from the Hackensack Riverkeeper and are $5 for Newark residents, $15 for non-residents. If you are interested in attending, call or text (201) 341-8311 or email newarkboattours@gmail.com to make your reservation. Must be 4 years and older. This entry was posted in Uncategorized on August 27, 2015 by riverfrontcoordinator. 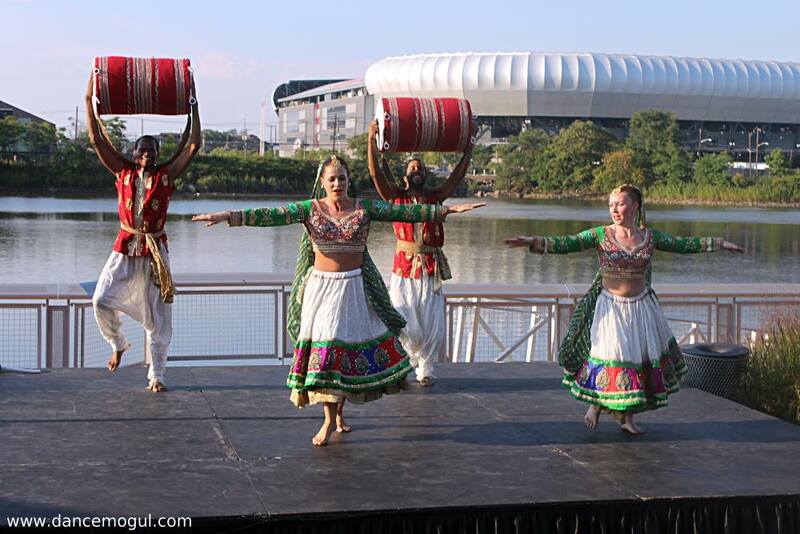 Tonight Riverfront CultureFest from 6-9pm at the Orange Sticks! 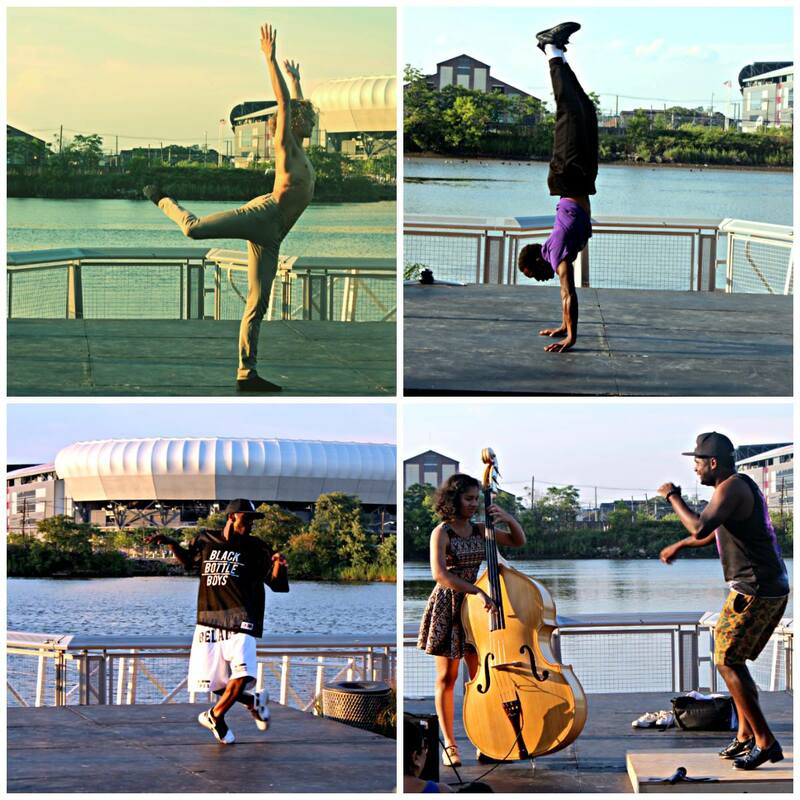 Bring your talents to the open mic or relax on the banks of the Passaic River tonight at the Orange Sticks from 6-9PM for Riverfront CultureFest featuring Negros Americanos! This entry was posted in Uncategorized on August 26, 2015 by riverfrontcoordinator. 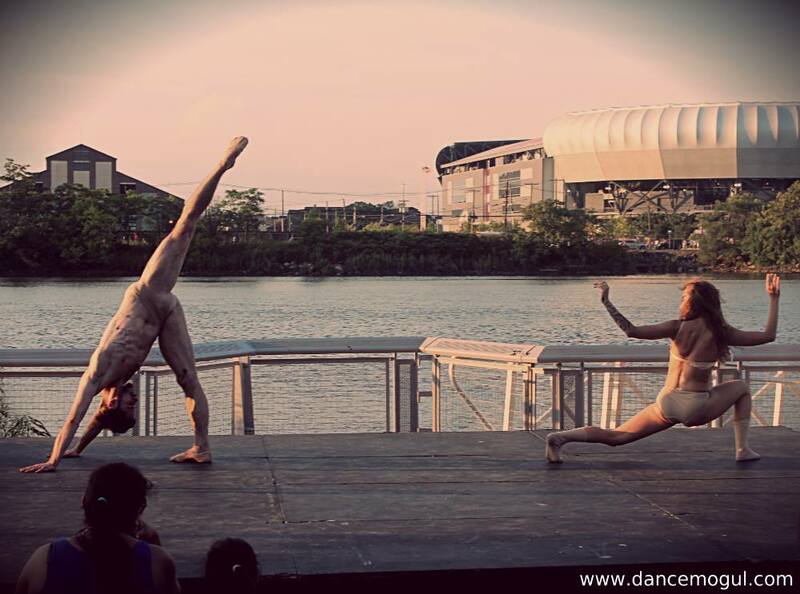 Dance Stories on the River Dazzles at Newark Riverfront Park! 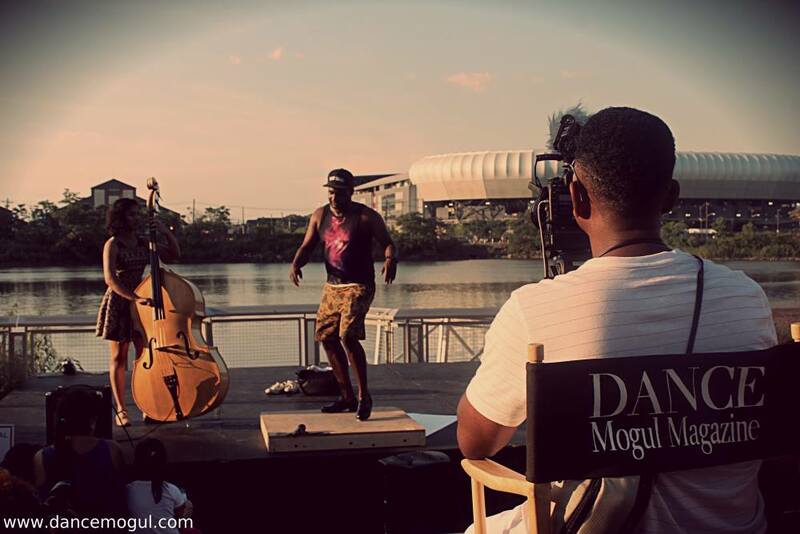 Newark Riverfront Revival was thrilled to have hosted our 1st Annual dance production in association with Dance Mogul Magazine, entitled “Dance Stories on the River” on Saturday, August 15th at Newark Riverfront Park. 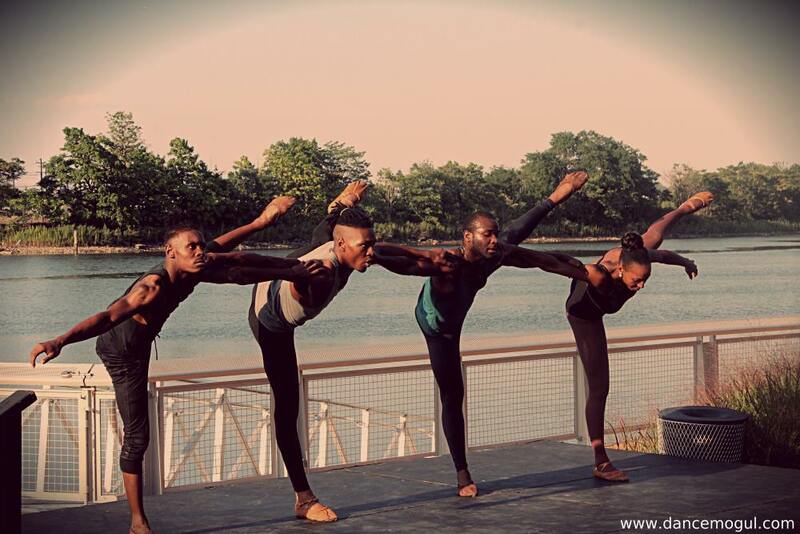 Performers showcased their talents in a wide variety of styles from all over the world in celebration of dance culture. 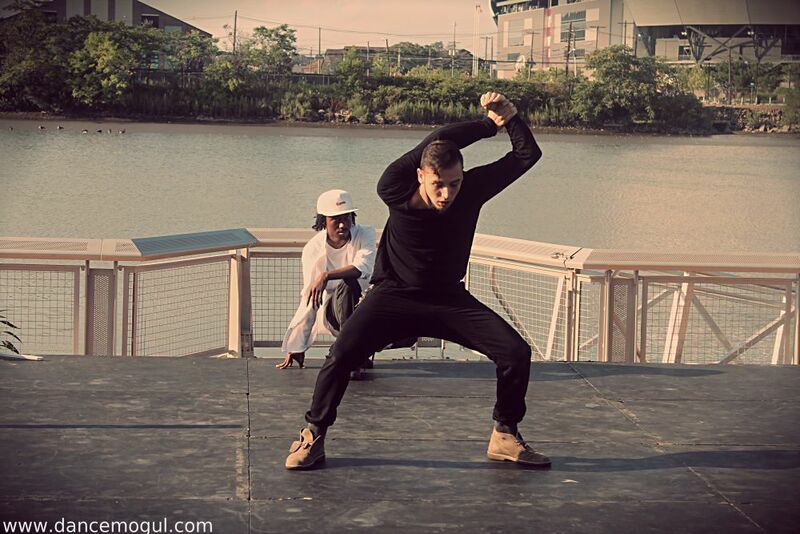 Special thanks to Mindlezz Thoughtz Team Rocket, Rahway Dance Theater, David Campos Kizomba, Scarlette, Zest Collective, Mystic India, Maurice Chestnut, & Storyboard P for an incredible day of dance on the river. 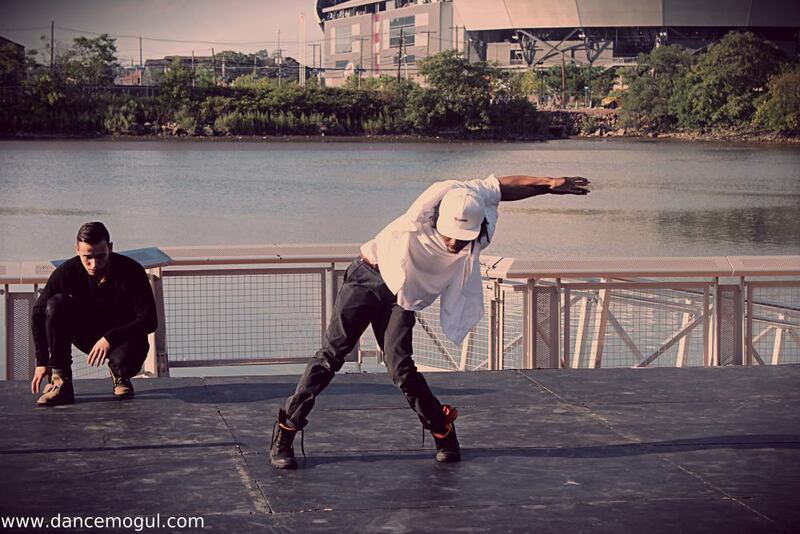 Here are just a few photos of the day, courtesy of Dance Mogul Magazine, check back soon for some video highlights! This entry was posted in Uncategorized on August 19, 2015 by riverfrontcoordinator. Due to inclement weather, tonight’s Riverfront CultureFest will be postponed until next Wednesday, August 26th from 6-9pm. 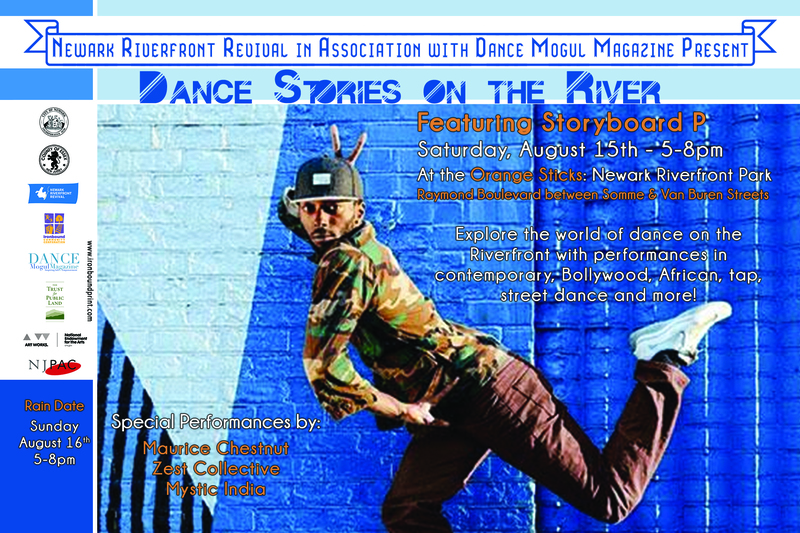 Saturday, August 15th, 5-8pm “Dance Stories on the River featuring Storyboard P, Maurice Chestnut, Zest Collective and Mystic India Bollywood Troupe! 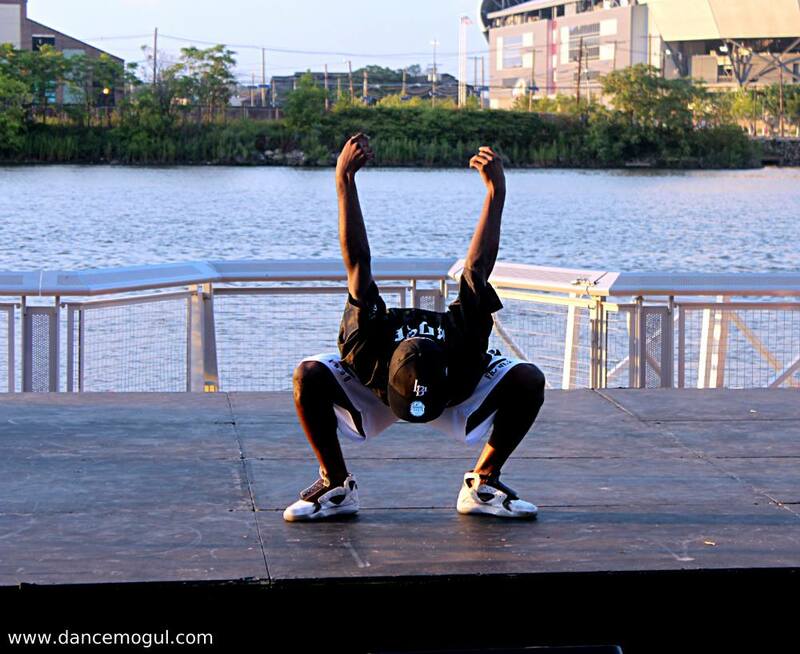 This event will feature internationally renowned talent including Newark’s own tap genius Maurice Chestnut, the innovate contemporary group Zest Collective, Mystic India Bollywood troupe, and the king of street dance Storyboard P along with special guests. 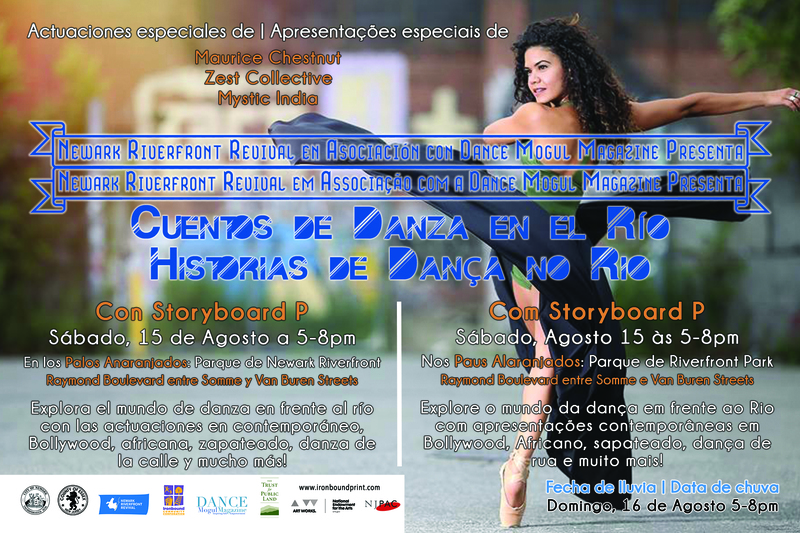 If you love dance and movement, you don’t want to miss this special night honoring the genre dance by the Orange Sticks along the Passaic River. This entry was posted in Uncategorized on August 13, 2015 by riverfrontcoordinator. 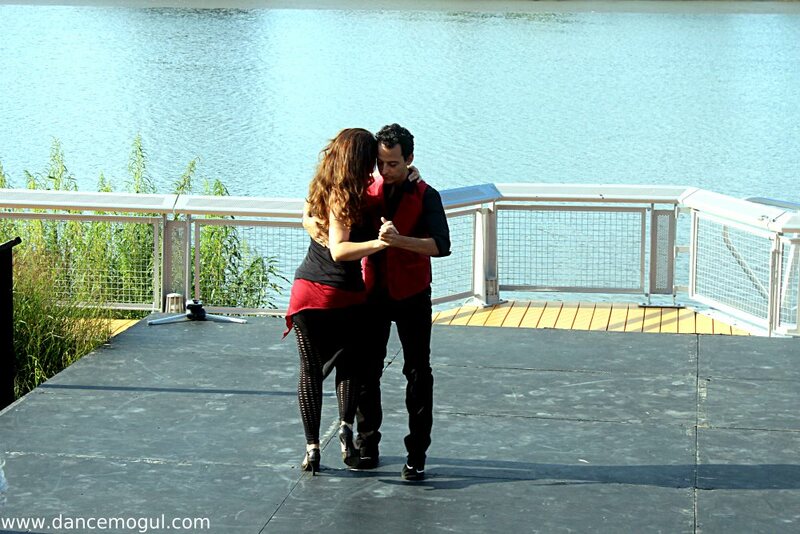 Friday, August 14th – Dance While the Sun Sets at Riverfront House Night & Guest DJ Gonzalo Silva! The word is out! 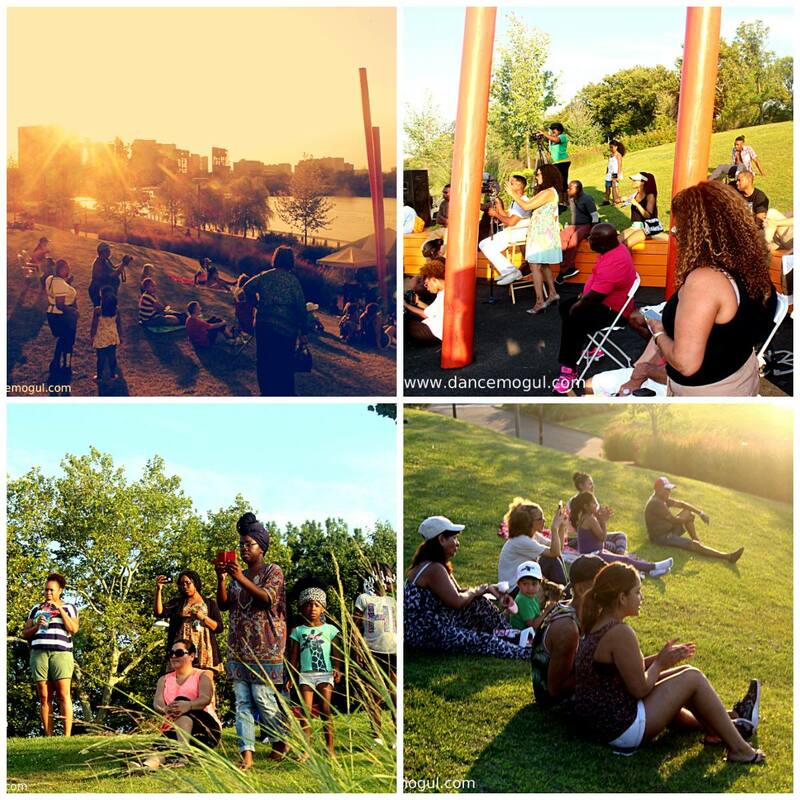 Newark Riverfront Park is THE place to be on Fridays in the summer! 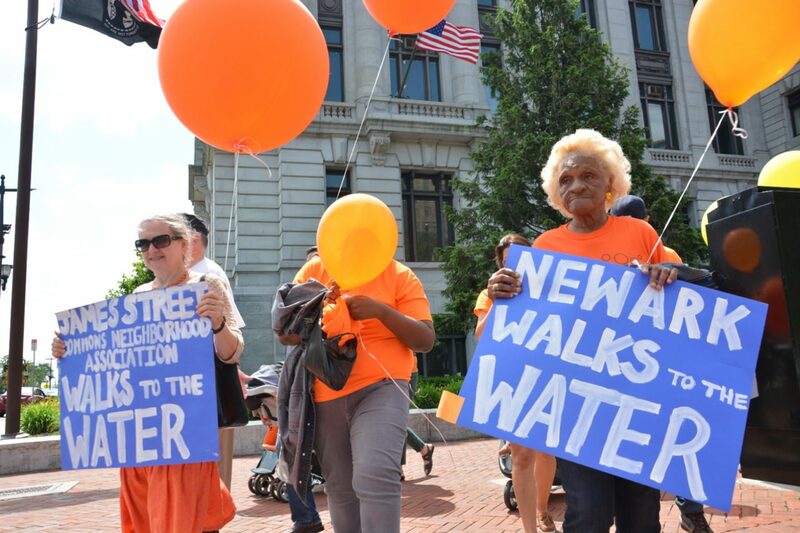 Each week we have events at the Orange Sticks drawing people from all around the City and beyond for free and fun entertainment by the River. 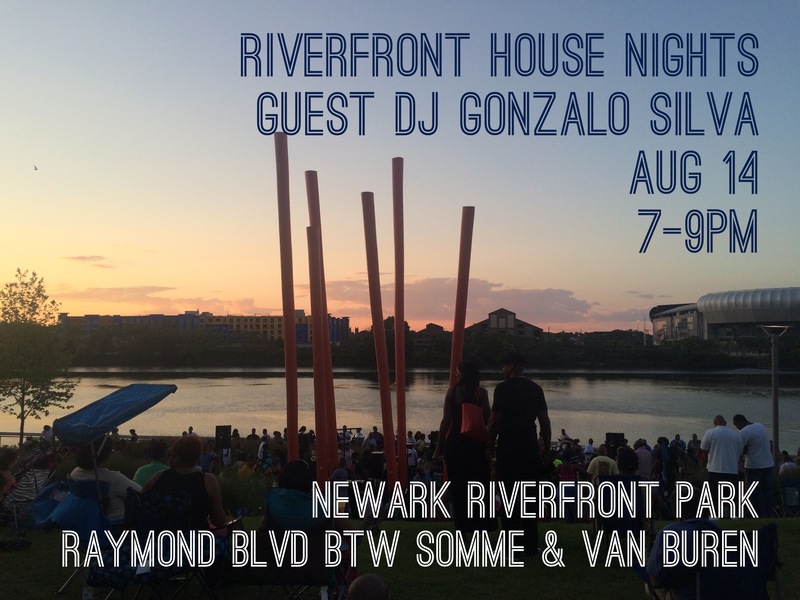 This Friday from 7-9pm, join us for Riverfront House with guest DJ Gonzalo Silva and the deejay collectives Thread and Brick City Bandits! Bring a blanket or chair and lounge on the hill and dance under the stars by the Orange Sticks. Don’t forget to tell a friend! 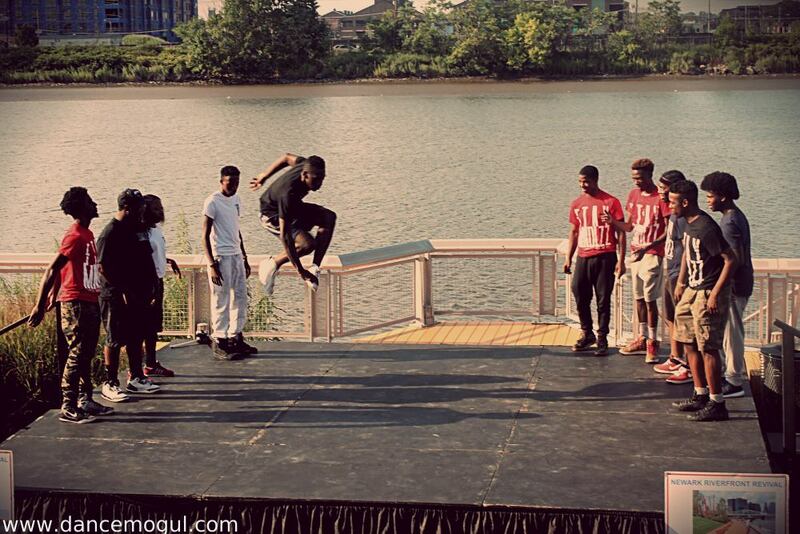 Riverfront Culture Fest tonight at Newark Riverfront Park by the Orange Sticks from 6-9pm. Hosted by Starski, tonight’s even will feature feature poet Blackberry Molassez and “Jersey Club Kween” Uniiqu3. 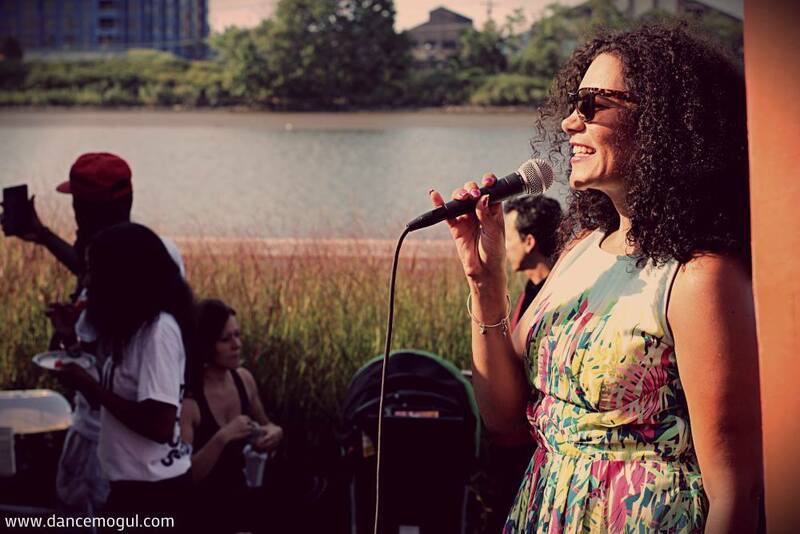 This week’s event will also be a collaboration with People’s Open Mic, the longest running open mic series in Newark, NJ. Join us tonight and bring your talents with you for the open mic session! Hope to see you down by the River. This entry was posted in Uncategorized on August 5, 2015 by riverfrontcoordinator.